You won’t find “whipping boy for any data issues” in most IT job descriptions, but it is probably covered by the section that reads “may be required to take the heat for any problem the CEO may, from time to time, decide is yours”. In that context alone personal data is definitely an IT issue. Individuals and organisations still tend to be vague about the value of personal data, but nobody likes it when you lose or expose it. Other than in a compliance-led mindset, organisations are often pretty vague about what they want from personal data, but it seems they all instinctively know the IT team will be at fault if something goes wrong. Never mind that the marketing team hoard data like a crazed squirrel. No matter that the finance team has pulled every bit of customer data into a pivot table. It’s IT’s fault. There are many reasons why it is not IT’s fault, but it is hard to argue the IT team doesn’t have a role to play. What it often lacks is twofold: First, influence over business choices; and second, the tools to do the job. Solving the first one means developing real partnerships with the marketing and finance teams to make business choices together. The answer to the second one does not sit inside the building – and that’s where you need to focus. Methodologies and technologies exist that can radically alter how your organisation handles personal data – making it safer, increasing its richness and usefulness and empowering your customers and your business. That may be counter-intuitive, but these systems are real, even if they aren’t mainstream yet. To gain greater acceptance they need to gather support from people who think beyond current systems, along with cross-domain business understanding to make the case. There’s an entire industry to create around personal data – working for individuals and getting the best deal for them. A senior individual at a large, successful customer relationship management (CRM) organisation said something interesting about these new approaches, claiming that despite knowing about these disruptive technologies and how powerful they could be and how much opportunity they could create, companies weren’t interested because their customers weren’t demanding them. That makes a lot of sense if you applaud customer-led systems, but it also frustrates enormously because it is a missed leadership opportunity. Shadow minister Chi Onwurah calls on UK citizens to keep close tabs on how the government uses their personal data. Private sector could learn from the NHS when it comes to inspiring trust over personal data, Deloitte survey finds. Members of the public say the government has most responsibility for educating them about how to protect and control personal data. Perhaps we’re simply not open to thinking differently with our corporate heads on. Personal data is an issue and an opportunity for businesses in one sense, yet it is also the bane of our life as human beings, citizens and consumers. We want it to be different and better, but it’s complicated in practice. That’s why BCS – as a charity with a Royal Charter and here to make IT good for society – is looking to play a leadership role on personal data. We’re not going to talk earnestly about the importance of patching your firewall, but about a vision for our digital life that works for individuals and for organisations – for everyone. We’re going to work with people and organisations that share our values to develop that vision and make it a reality. We’re going to take this issue out into wider society – for example, at the political party conferences. So what is this magic wand that can make things better? It’s conceptually simple, but complex in implications. It means using a linked-data approach and giving individuals the opportunity to collate their own data, manage it and control permissions. New types of digital services can then manage that data for people and help mediate their data relationships according to their wishes to get the best deal for their data. The individual then gets someone in control of their data who really works for them. For organisations, access to personal data in that context means access to as much data about that person as they could ever hope for, and potentially not having to store more than is actually needed – thus lowering the risks and impact of data breaches. This is a potential answer to everyone’s personal data woes, but it’s one we can only get if we work together beyond our organisations – and with users of the data such as marketing executives. If we can get marketing to draw a line between brand values and behaviours and the way we treat customers around their data, perhaps together we can find a way to work beyond our organisational barriers with people who share that perspective. Then we might make things work better for everyone and have even more reason to be proud of our impact as IT professionals, putting in place systems we’d like and trust ourselves. 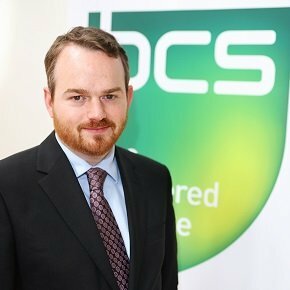 David Evans is director of policy at BCS, The Chartered Institute for IT. "New types of digital services can then manage that data for people and help mediate their data relationships according to their wishes to get the best deal for their data." The model for just such a service is called a 'Data Custodian', an agent of the customer responsible for storage and retrieval of data according to rules dictated by the customer. As a cloud service, the custodian database can be accessed by RESTful API. It requires a database capable of storing data in many forms. This is the platform we are constructing at Dataparency.